The Technion Council headed by Mr. Gideon Frank, has elected Prof. Uri Sivan, of the Faculty of Physics as the next president of Technion. The Council’s decision was based on the recommendation of the Search Committee for the Technion President and received sweeping support from the Academic Assembly. The appointment is subject to the final approval of the International Board of Governors which is set to convene in June. Prof. Sivan will commence his term as President of Technion on October 1, 2019, and will replace the outgoing President Prof. Peretz Lavie, who will complete his term after a decade in office. Prof. Sivan, 64, a resident of Haifa, is married and the father of three. He served as a pilot in the Israeli Air Force. He has a BSc in Physics and Mathematics, an MSc and Ph.D. in Physics, all with honors from Tel Aviv University. In 1991, after three years at IBM’s T. J. Watson Research Center in New York, Prof. Sivan joined the Faculty of Physics at Technion. His research has covered a wide range of fields including quantum mesoscopic physics and the harnessing of molecular and cellular biology for the self-assembly of miniature electronic devices. In recent years, his research has focused on the way water orders next to molecules and the effect of this ordering on inter-molecular interactions in biologically relevant solutions. Within this framework, Prof. Sivan’s group designs and builds unique, ultra-high-resolution atomic force microscopes. Prof. Sivan, the Bertoldo Badler Chair, is credited with important scientific achievements. Prof. Sivan, along with colleagues Profs. Erez Braun and Yoav Eichen, demonstrated for the first time how to harness molecular recognition by DNA molecules for wiring an electric circuit. This study gained considerable resonance and helped pave the way for a new field in nanotechnology using the self-assembly properties of biological molecules to construct miniature engineering systems. Prof. Sivan is a renowned lecturer in Israel and abroad. He was awarded numerous prizes including the Mifal Hapais Landau Prize for the Sciences and Research, the Rothschild Foundation Bruno Prize, the US-Israel BSF Bergmann Award, the Technion’s Hershel Rich Innovation Award, and the Taub Award for Excellence in Research. His research has led to patents and industrial applications. Recently, an Israeli start-up company was established in the field of single cell analysis for cancer diagnostics, based on the technology developed in Prof. Sivan’s lab. Prof. Sivan is the founding director of the Russell Berrie Nanotechnology Research Institute (RBNI), which he headed between 2005 and 2010. RBNI has led the scientific revolution in nanotechnology at Technion and has placed the university at the forefront of global research in the field. RBNI made headlines when Prof. Sivan and Dr. Ohad Zohar engraved the entire Hebrew Bible onto a tiny silicon chip. The Nano Bible was written as part of an educational program developed by the Institute to increase young people’s interest in science and especially in nanotechnology. In 2009, President Shimon Peres presented the Nano Bible to Pope Benedict XVI during his official visit to Israel. Today, there are three copies of the chip worldwide: at the Vatican Library, the Smithsonian Museum in Washington D.C., and the Israel Museum in Jerusalem. The establishment of RBNI spearheaded the development of Israel’s national nanotechnology program, and together with centers established in other Israeli universities, has positioned the country as a world leader in nanotechnology. Recently, Prof. Sivan was appointed the head of the National Advisory Committee for Quantum Science and Technology set up by the Council for Higher Education’s Planning and Budgeting Committee (PBC). The committee outlined the national quantum academic program, which was adopted and launched last year. 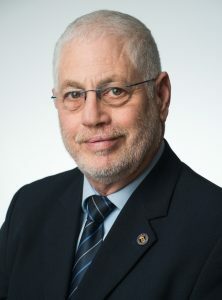 Prof. Sivan has served as a member of the Israeli National Committee for Research and Development (MOLMOP) and the Scientific Advisory Committee of the Batsheva de Rothschild Foundation. He currently serves on the Advisory Committee of the Maof Fellowships Committee for advancing Arab faculty and is a member of the Wolfson Foundation Advisory Committee in Israel. Prof. Sivan deeply values and promotes education. He headed a Ministry of Education committee to develop and mentor “Science and Technology for All,” a national curriculum for non-science high-school majors.